In an attempt to regain control of baking habits, and also so I won't end up with fifty dozen cookies at a pop, I've decided to loosely have a "cookie of the week". While not set in stone, it gives me a guideline so I can better determine the butter usage. These sparkly treats came from Smitten Kitchen's post about peanut butter cookies. My addition was to finely chop around a half cup of peanuts and mix in after you cream the butter and sugar. I thought of this because I wondered if a peanut butter cookie I had once might have had finely chopped pieces strewn in. Whatever you do, these are incredible, and as per her instructions, don't overbake them. Giant ginger cookies must be made every fall, though it doesn't particularly matter what recipe you use, anything spicy is a fall cookie. These are given a kick thanks to the pepper, which I decreased to an 1/8 of a teaspoon. Plenty of spicy after-bite remained, even more so the following days. 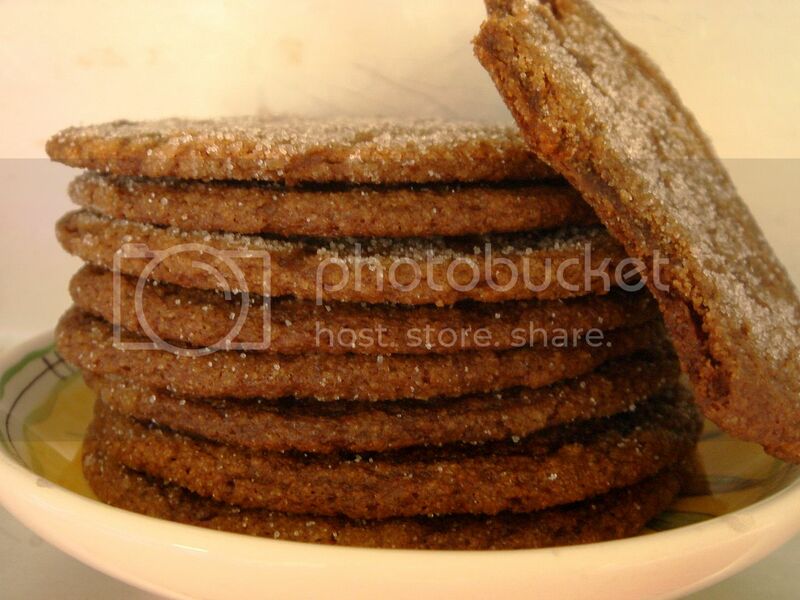 My cookies didn't come out as thick as the ones in the picture, even with refrigerating the dough; oh well. By the bye, these were made a few weeks ago. Do you guys have a baking routine you follow, even if it's more a loose guideline? 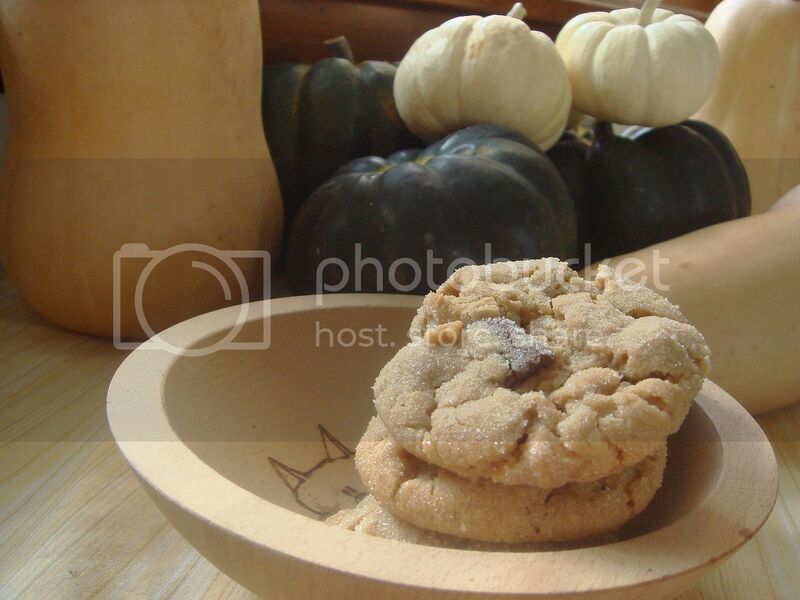 Peanut Butter and Ginger cookies??? Fabulous!! I tried Smitten Kitchen's PB cookies about a month ago, and while they tasted fine, they were very flat -- they didn't look anything like yours or the ones in her photo. I was so disappointed! I don't have a baking routine...I just bake when I feel like it! Hi there! I saw your comment over at "I Shot the Chef" and thought, "Hey, I run and eat too!" So here I am, checking out your blog. The cookies look awesome! can you ever go wrong with pb cookies? i think not. when it comes to baking... i follow recipes ;) have yet to learn all the ins-and-outs! Guidelines? It depends on if I have all the ingredients on hands. A rule I'm starting to use is "do not use more than a stick of butter" per recipe. I think it's lame when something has "10 tablespoons". I mean come on, what does that extra two do besides make me cut up another stick? 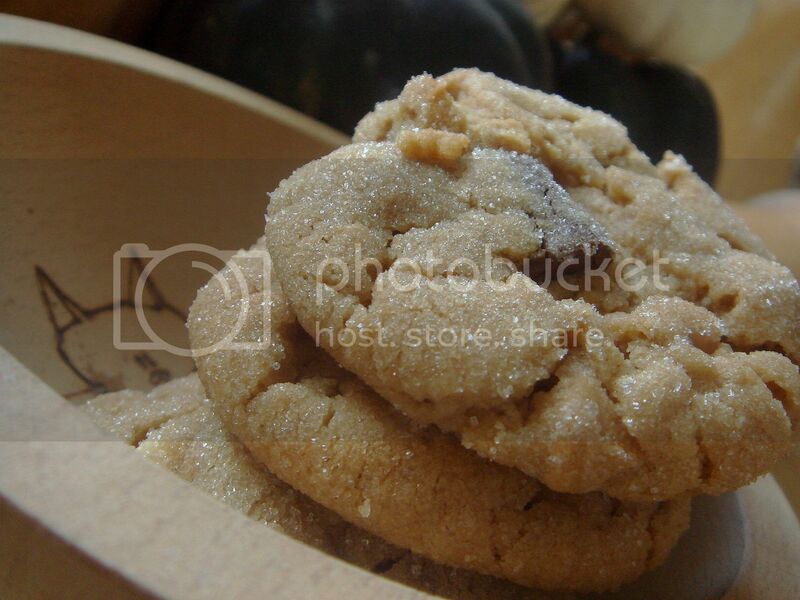 Peanut butter cookies are probably my favourite cookie of all, yours look perfect.